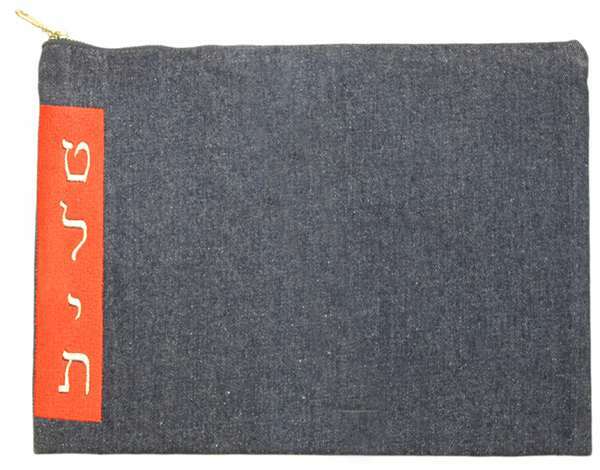 This denim tallit bag is very hip. It has the Hebrew word “tallit” embroidered with white colored thread on an orange background. This simple design is embroidered on the left side of the bag in a vertical direction. This bag is available only as a tallit size bag.